Everyone knows that with the New Year comes a list of promises we all make to ourselves about how we are going to improve in the months to come. Year after year, the most popular resolution is to improve eating habits and adopt a healthier diet. It is no wonder that healthy diet trends spike in popularity after the holidays. Each one promises to be the newest and best way to help you shed those extra holiday lbs. but not all of them are right for everyone. Here is a list of the healthy diet trends to watch in 2017 so you can start your year off right. When it comes to healthy diet trends, anything that involves pasta becomes an instant crowd pleaser. In 2016, we saw a lot of zucchini noodles and spaghetti squash recipes plastered across Pinterest boards. In 2017, beans are going to be the new go-to noodle. From edamame spaghetti to lentil elbows, bean pasta will be taking over health food store shelves. If pre-packaged veggie chips aren’t your thing, make your own delicious creations at home! Sweet potatoes, beets, and kale create the most colorful and nutrient-rich vegetable chips with a dash of oil and a sprinkling of sea salt and cayenne pepper. Seaweed is truly the un-sung hero of sushi. Unfortunately, many people don’t think of seaweed as something suitable for a grocery list. However, when it comes to this year’s healthy diet trends, seaweed is going to be the breakout star. Toss it into grain bowls or turn it into a low-cal snack with this recipe. Place six sheets of nori, shiny side up, on the baking sheet. With a pastry brush, lightly brush the shiny side of the nori with water, be sure to reach the edges, then carefully align another sheet of nori on top and press them together. Repeat with the remaining sheets until they’re buddied up. In a small bowl, combine the garlic, sesame oil, and cayenne. Use the pastry brush to coat the top of the chips, then sprinkle generously with salt. Bake for 15 to 20 minutes. Allow them to cool before eating for maximum crunch. It’s not news that the overconsumption of sugar can be considered evil. But with trendy new sugar alternatives like coconut sugar and date sugar, you can still savor your favorite sweet treats. However, these more natural sugars are still sugars and should be enjoyed in moderation. Fun and inventive jerky will surely be the protein du jour of 2017. Move over beef, 2017 is all about dehydrated lamb and salmon. Just keep your eye on the sodium which can be a bit of a downfall when it comes to this addictive treat. Perhaps the unique of all the healthy food trends for the upcoming year is bone broth. They will begin appearing in grocery stores, coffee shops, and juice bars everywhere. 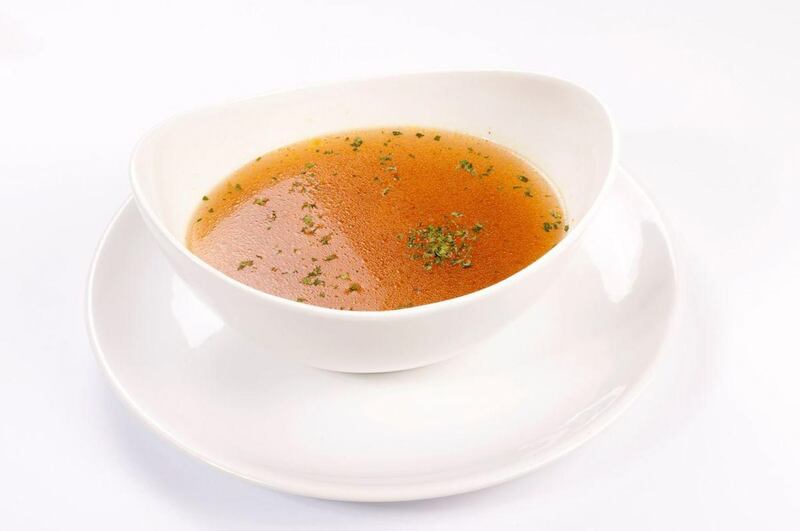 Some nutritionists agree that the benefits of bone broths include fighting wrinkles and stopping a leaky gut, although the science for those claims has yet to be established. The concept of snacking has exploded in recent years with 81% of consumers admitting to indulging at least once a day. This can add up to many more calories than you were expecting to consume. We predict a shift in “snack attitudes” from the calorie-laden mainstream choices to more thoughtful consumption of snacks that are good for you. From fresh fruits and veggies, to lower calorie, gluten-free counterparts. Thoughtful snacking is definitely on trend for 2017. Gluten-free living… it’s not a trend. It’s a necessity for the many millions suffering from celiac disease and the many more Americans who are intolerant or are otherwise seeking healthier eating options. 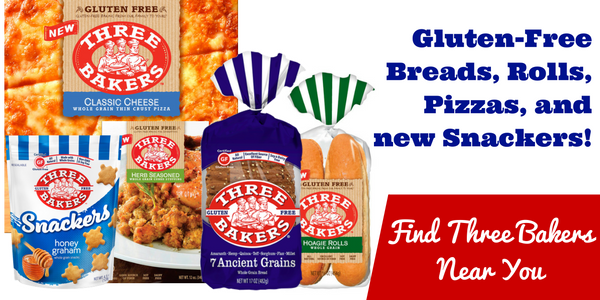 If you, or someone you know, as recently discovered gluten is not the preferred choice, we invite you to explore our online resources. Or, find a location near you that carries our products by clicking the image below.